It is the world's twelfth most toured destination, Europe's fourth, and the world's fifteenth most livable city; no wonder that more expatriates are finding their way to Barcelona each year. Sitting between the mouths of two Mediterranean rivers is the European Union's sixth most populated cosmopolitan area, Barcelona, a fertile plain that is also the capital of the Autonomous Community of Catalonia of Spain. Barcelona's natural landscape extends from the mountainous terrains of the Pyrinees and Pre-Pyrenees to the picturesque beaches and coastlines of Zona Franca down to the district of Besós. It is typically Mediterranean in terms of weather - temperate but with extremes of dry and hot summers and very cold and humid winters. When moving to the city, it is good to bring both shorts and sleeveless shirts for the hot season and heavy jackets for the winter, along with clothes for mid-range temperatures. A light waterproof jacket can also be good to have as it could shower anytime of the day. The city houses a number of UNESCO World Heritage Sites recognised for their architectural significance, including works by Lluís Domènech i Montaner, Palau de la Música Catalana and Hospital de Sant Pau and, of course, Antonio Gaudi, who designed the Sagrada Familia (Church of the Holy Family) in 1882. Dating back to the more primitive origins of the city's architectural legacy are Gothic buildings, episcopal palaces and a 6th century basilica, all of which remain to be among its main attractions. Indeed, there is not a single day that can turn dull in this side of Catalonia where walking shoes and a camera are a must to capture every inch of its beauty. Expats can spend a day dazed in history on top of the Montjuic, which is a low and wide hill that was the site of various Spanish fortifications, one of which, the Castell de Montjuïc, still exists today. Fashionistas can stuff their closets with original Spanish labels such as Mango, Zara and Custo Barcelona which is known for its bold and bright designs while seafood lovers can chow down mouthwatering oysters along with a whole range of marine specialities at any of the city's seafood restaurants. And these are only three of the countless things that reflect the city's great passion for life. Barcelonians are naturally rich in traditions and would not hesitate to spend enormously to keep these practices alive. They are natural party people with a myriad of year-round celebrations including the Festivities of Santa Eulàlia, Sant Jordi, the Carnival, the Pyrotechnic Festival and the Christmas cavalcade of the Reis - the Three Kings. They are naturally friendly, very accommodating, warm and serious about their friendships, as they would rather lose money than a friend. They can also be helpful, especially to tourists who appear to be lost in the streets or having difficulty finding a ride. As with any other city in Catalonia, Barcelona has two official languages, namely Spanish and Catalan which are both Latin in origin. The former tends to be easier compared to the latter which is significantly laced with French influences. Even with their utmost respect for their own tongue, Barcelonians are known for having an excellent command of English which they never use unless absolutely necessary. Religion is another well-respected aspect of their culture which is significantly rooted in Roman Catholicism and practised by at least 76% of all Spaniards. Other religions account for about 4% of the population while 20% consider themselves agnostics or non-believers. Barcelona has ten major districts including: Ciutat Vella where Spain's oldest neighborhoods can be found; Eixample, known for its octagonal blocks and gridded network of streets and avenues; Sants, which was once a key Spanish municipality before becoming part of Barcelona in 1897; Les Corts, the city's least populated area; Sant Martí, the second most populous; Sarrià-Sant Gervasi, one of biggest among the districts; Gràcia, home of Unesco World Heritage site Casa Vicens by Gaudi; Horta-Guinardó, a hilly region with steep streets; Sant Andreu, home of the Spanish football team; Unió Esportiva Sant Andreu; and Nou Barris which, since 2000, has housed the largest number of expatriates mostly from Romania, Ukraine and Ecuador. 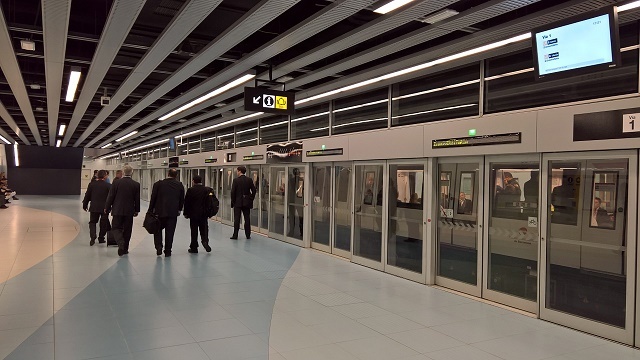 Barcelona is a global city that thrives on its flourishing finance, commerce, media, entertainment, arts, international trade, education and tourism sectors. Add to that its low crime rate and expats will surely find one more reason or two to choose Barcelona as their second home. Foreign nationals intending to work in Barcelona will find overseas shipping straightforward and easy. Household Goods (HHG) shipments can be shipped to Barcelona without paying duty as long as they have been used and are imported no later than one year after the expat has obtained a Residence / Work Permit in Spain. New HHG items are subject to payment of customs duties and taxes. An invoice stamped by the Spanish Consulate at origin will also be required. Careful attention should be placed in the declaration of HHG. Any new items found within a declaration of used goods will render the whole shipment rejected for free admission. Expats can get services movers in Barcelona. The following documents are required for presentation upon arrival of the goods: original passport or copy attested; certificate from the Consulate at origin certifying the time the shipper has been lining in that country for not less than one year; European Community Card or NIE Number; valued inventory list in Spanish, valued and signed by the shipper; Registration with the Barcelona Town Hall (upon arriving); and Bill of Lading or Airway Bill. On entry into Spain, vehicles are granted six months stay permit. After this time, the vehicle will have to be exported or imported on a definite basis. Change of Residence certificate for Spanish nationals and Residence Permit for foreigners plus certificate of CIF value of car in Spain and payment of taxes is required for final importation. Drugs, Pornographic material, Cleaning Fluids, Paints, chemicals and fertilizers, meat and milk products are considered Restricted Items by Spanish Customs. Weapons and ammunition are subject to special regulation and should not be included with the shipment. Special permits are required and issued through Spanish Authorities. The second most populous city of Spain is its capital city, Barcelona. It is located in the autonomous community of Catalonia. The city is known all over the world for its breathtaking architectural beauty and its influential culture which most expats are dreaming of. The inviting weather of Barcelona is also one of the many reasons why it is one of the top destinations for expats who would like to start a life overseas. Barcelona is a picture perfect city. It is not only jam-packed with tourist attractions for the young at heart but also for kids. 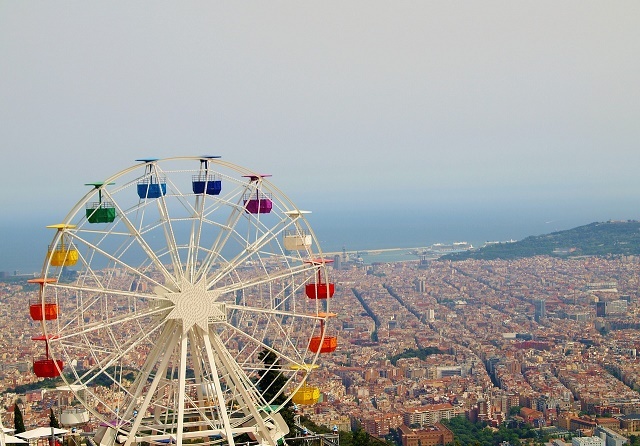 Expat families may visit the Parcd’Atraccions which features the colourful and old-fashioned Ferris Wheel. Other amusement parks to visit are the TransbordadorAeri and Monument a Colom. However, expat parents must first ensure that their kids are not afraid of heights before trying the cable car. What most expats would know about Barcelona roads is that it has very few records of accidents and drivers are patient and courteous. It is minimal that they will encounter problems in the city when driving. The simplest way to stay out of road violations in the city is to always take note that the driving is on the right side. For expats wanting to own a car in Barcelona, it would be best to understand the consequences first. Parking lots are very limited in the city and due to narrow streets, there might be a possibility of getting the vehicle dented and scratched while parked. Expatriates must take note that banking in Barcelona is quite expensive compared to other cities in the European Union. They may choose from opening a resident or non-resident account since both can offer the same services such as foreign exchange, remittance, mobile and internet banking. Resident bank accounts however, may only be applicable to those with Numero de Identificacio de Extranjeros (NIE) which is a tax identification number in Spain. Banks available in the city includes BBVA, Banco Sabadell, CatalunyaCaixa, Santander and La Caixa. Some of the international schools in Barcelona offers the International Baccalaureate curriculum and are also considered as private schools. 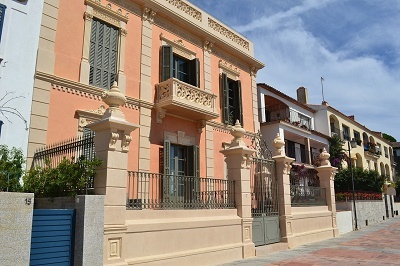 These include the American School of Barcelona, Benjamin Franklin International School, The British School of Barcelona and the International School of Catalunya. There is relatively a good number of international schools in Barcelona and most expats staying for short-term prefer these to continue the study of their children on a curriculum aligned to what they had back in the home country. Expats coming from Western countries may not be familiar about ‘siesta’, a long break which starts at 2PM and ends by 5PM. Spanish people use this time to take a nap or go home for lunch. Expat employees might even find this as an advantage rather than a hurdle or culture shock that they need to overcome. Language barrier may also be an issue for foreigners in Barcelona which is why it is still deemed imperative to learn the language while living in the city.